Walking on snow and ice can sometimes land you on your keister. Even the best rubber soled hiking boots provide poor traction on slippery surfaces. The best solution is to attach temporary traction devices on the soles of your shoe or boot. You can keep the traction devices in your pocket when you are’t using them. The best solution I have found are the products from ICEtrekkers. 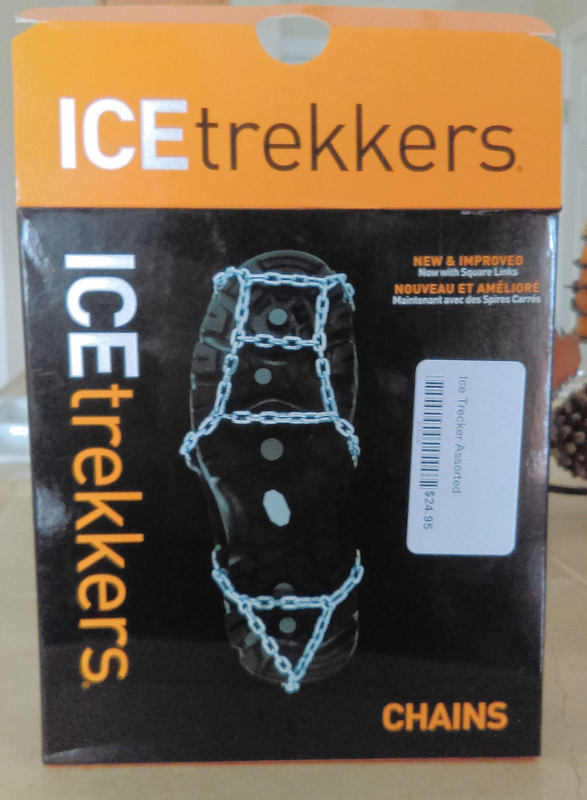 ICEtrekkers has three traction solutions that are easy to install and remove. The rubber elastic sling appears durable and is designed to stay flexible in cold temperatures. My wife and I have the “Chains” product which works well in packed snow and ice. The case hardened square links are strong and securely attached to the rubber sling. 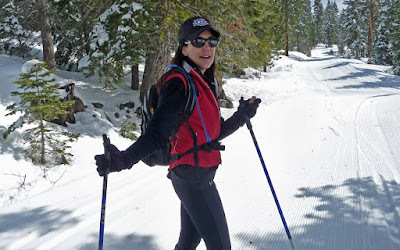 All the cross country trails are filled with snow this year. The popular Great Ski Race for cross country skiers will take place March 6, 2016 without fear of the course melting away. The race has been plagued with cancellations over the past few years due to lack of snow. This year won't be a problem because the snowpack is at 130% of normal. The Great Ski Race begins in Tahoe City and ends at the Cottonwood Restaurant in Truckee. Skiers begin at 6,600 feet and reach a peak altitude of 7,700 in the first half of the race. 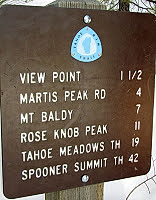 The second half features some steep uphill portions with a net elevation loss to just under 6,000 feet at the finish line. 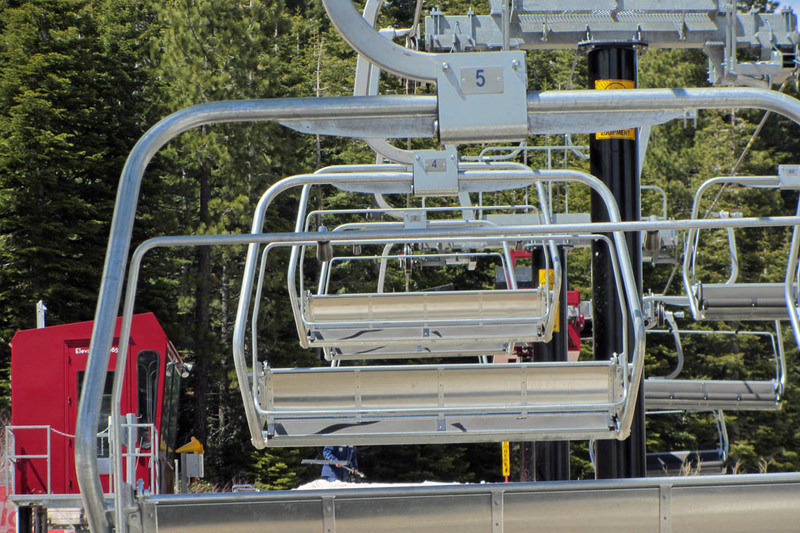 An 8-year-old girl fell from the Big Blue Express chairlift on January 2. 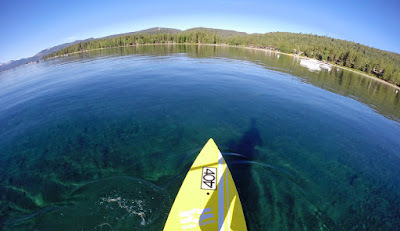 According to Lake Tahoe News, the girl fell from nearly 40 feet. 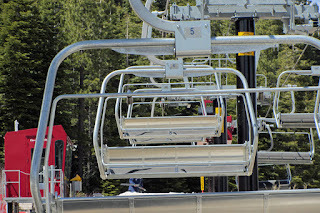 A witness said the girl fell when the chair restarted after a stoppage. She was flown to Renown Medical Center in Reno in stable condition with broken bones.